Angels, are you following winemakers Nigel Dolan & Caroline Dunn on the Naked Wines website? If not, you should be! 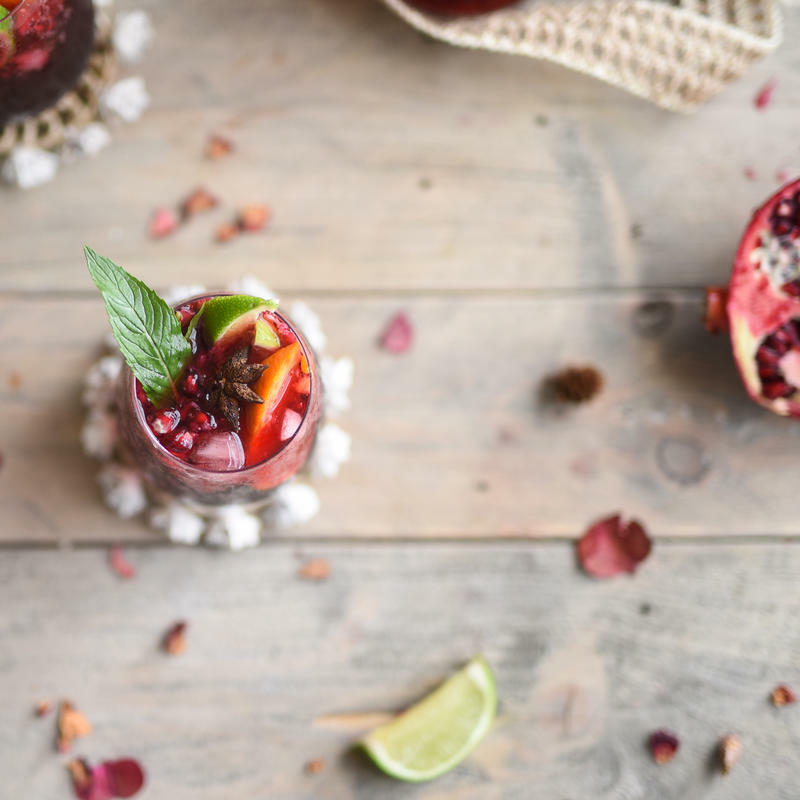 They not only share behind the scenes updates from their South Australia vineyard, they share incredible recipes such as this Christmas Sangria! Doesn’t it look amazing? If you make it, share a pic on Instagram and tag @NakedWinesAus in it – we’d love to see your creations! In a large jug or punch bowl, mix together 1 bottle of red wine (we recommend Dolan & Dunn Shiraz Grenache or Red by Caroline Dunn Mataro), 2 cups pomegranate juice, 1 cup orange juice, 1 cup apple cider, ½ cup apple brandy, and ½ cup Triple Sec. Add 1 sliced orange and 2 cups mixed red fruits, like pomegranate seeds, mulberries, raspberries, blackberries, or halved black cherries. Add a couple of cinnamon sticks, a couple of whole cloves, a small sliver of fresh ginger, and a few star anise. Mix and taste for sweetness. Add a spoonful or two of honey if you like it sweeter and mix well. Cover and refrigerate for at least 3 or 4 hours, or up to 2 days – the longer the better to help the flavours meld together. Pour over ice into long glasses. Drink it straight up, or top with lemonade or sparkling water depending on how strong or sweet you like it. Garnish with pomegranate seeds, star anise, slices of orange and lime, and a sprig of mint. Follow Nigel Dolan & Caroline Dunn on the Naked Wines website for more delicious recipes and updates from their South Australian winery.